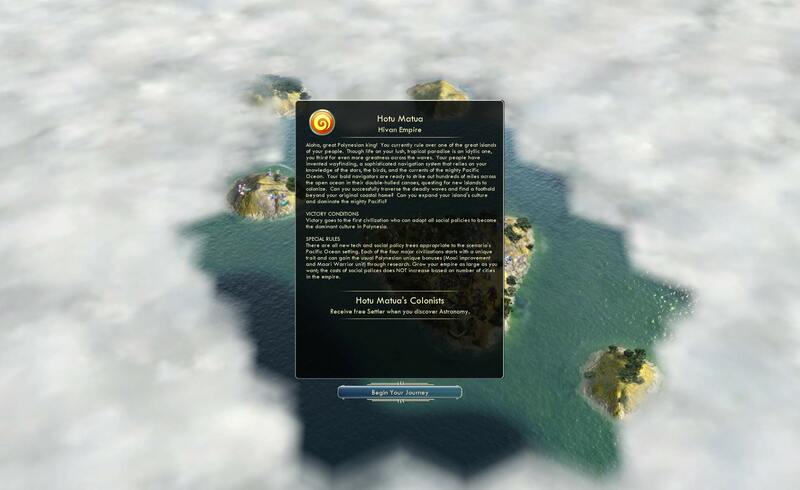 Firaxis announced DLC with the playable Hawai'ian leader Kamehameha and a free multiplayer pack of maps. The island nations of the South Pacific have largely been ignored by the Civilization series, perhaps because there is not one dominant culture to base a faction on. 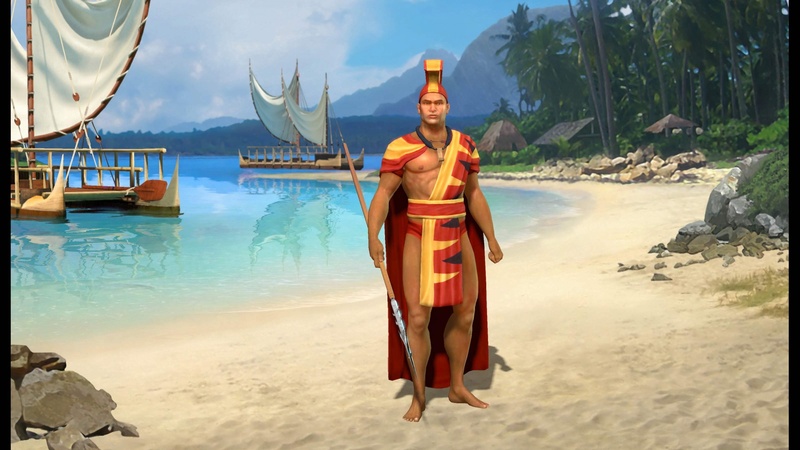 The new Civ V deftly gets around that fact by squashing disparate cultures (Maori, Samoa, Easter island) into one nation under Kamehameha, the king who united the islands of Hawai'i in 1791. 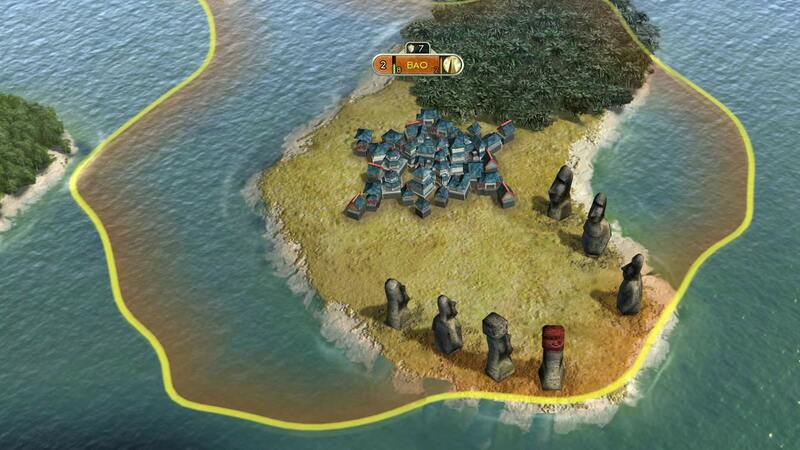 The accompanying scenario, called Paradise Found, bends some of the game's rules and lets the player expand to the many small islands and atolls in the Pacific without the usual penalties for spreading your empire too thin. 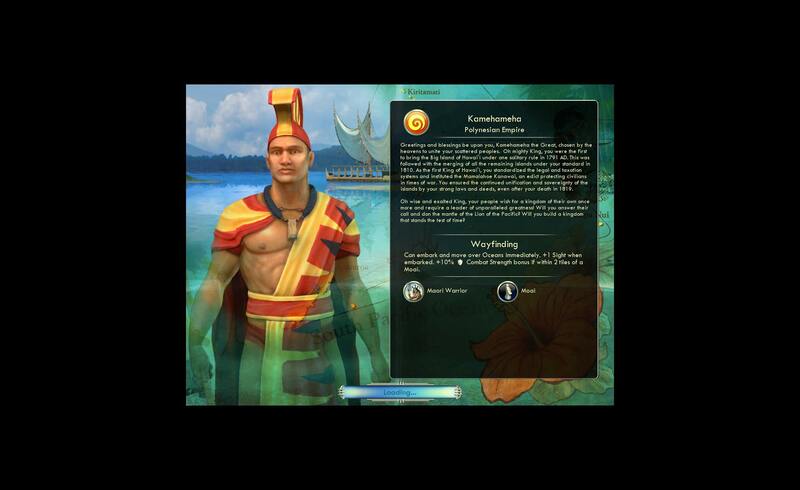 The Civilization and Scenario Pack: Polynesia is out on March 3rd and will set you back 5 bucks, but Firaxis is also offering a free multiplayer map pack available at the same time. 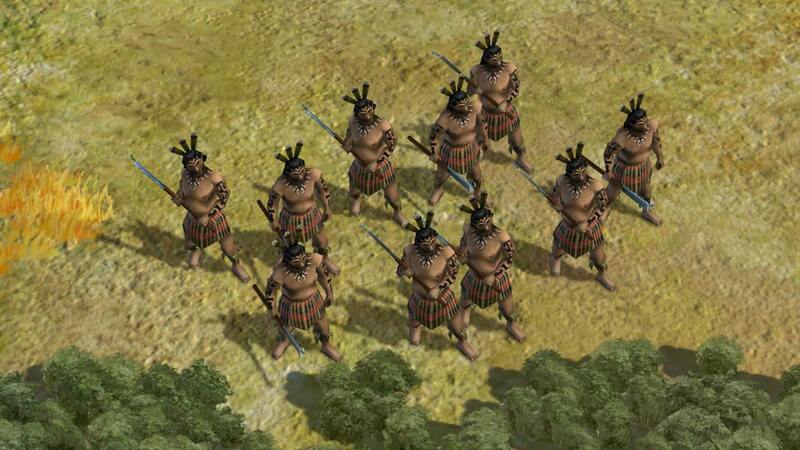 The neat part about the Polynesian pack, other than the ability to build awesome Easter Island or Moai Statues, is the addition of new social policies called Ceremony, The Arts and Honor. What's not clear is if these policies will be available in the standard game or just in the scenario. If it's the former, then the new social policies might just be worth the $5 on its own to add to the gameplay. Even if those policies are only for the scenario, playing with the seafaring qualities of the Polynesian nation will be a nice departure for those Archipelago maps instead of using Elizabeth all the time. Being able to embark from the get go is neat, and with +1 sight, you'll be able to explore the seas pretty easily with a "land" unit.